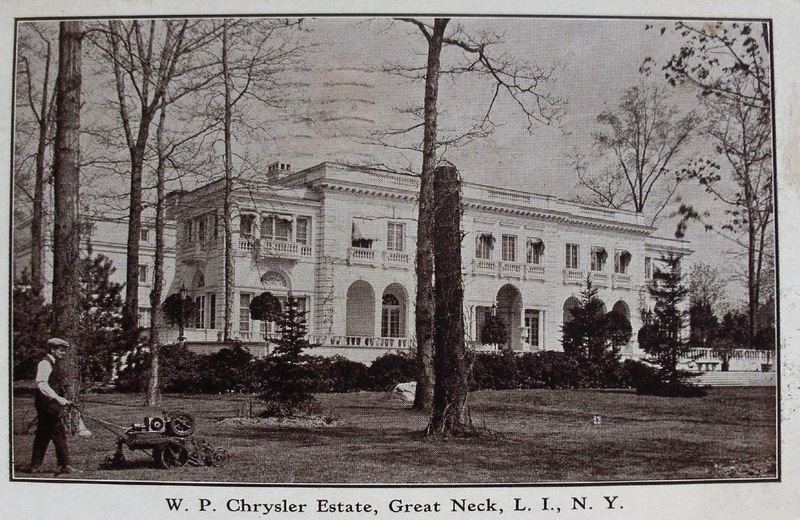 'Forker House', originally the Henri Bendel estate designed by Henry Otis Chapman c. 1916 in Kings Point and later the Walter Chrysler residence. Click HERE and HERE for more on 'Forker House'. This elegant house looks quite residential with the lush landscaping and gardener to boot. It loses alot of that character today devoid of trees and shrubs. My first and favorite OLI love. The one that started them all when I was a young 18 y.o. student of the academy. Most of the interior does survive with some changes for institutional use. The music room no longer has the pipe organ (or at least it's covered up), the main hall and dining room ceilings are (were 10 years ago) intact. The cloistered loggia at the rear has been enclosed and turned into cubicles, but mostly it has been fairly sympathetic to it's former residential purpose. Always had a museum like feel to it, but I imagine it did when it was a house too!